It’s a busy week right before Easter at our house! 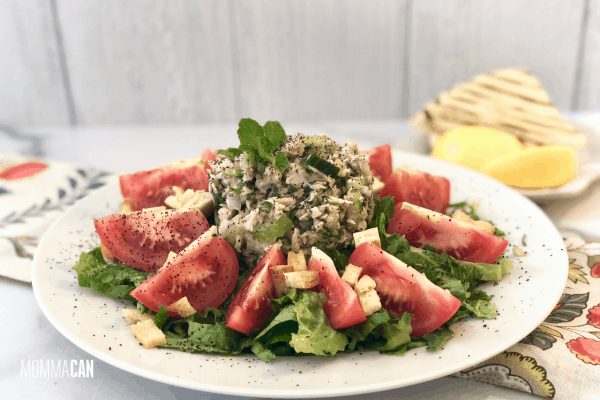 We are keeping meals simple and light! I can’t wait to share what we are having for family dinners this week! Are you ready for Hey Momma! 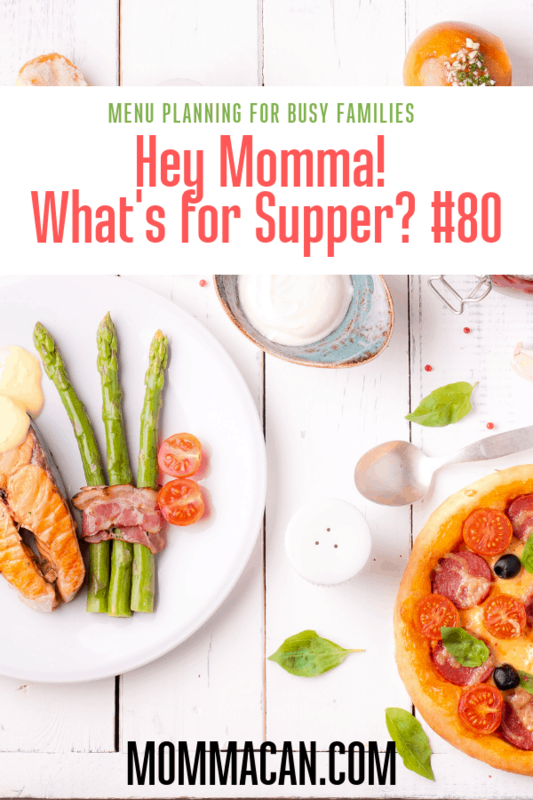 What’s For Supper #80? 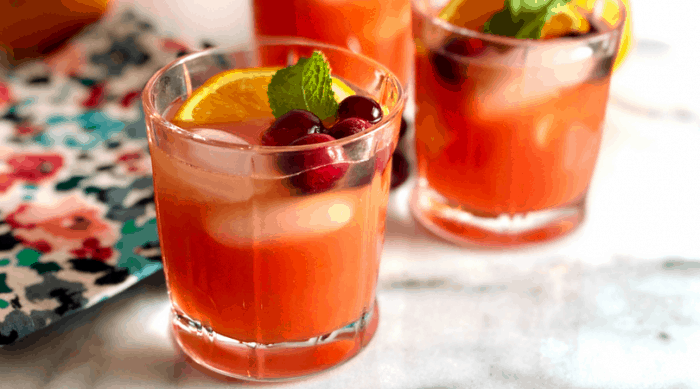 Yummy Mango Cranberry Guava Juice! In this week supper list, we are keeping it simple as we get ready for the Easter season. I am taking down the slow cooker and will probably keep it out for several days! Heck, I love my slow cooker! It has helped me through some pretty busy days in my life and it just keeps on cooking like the Energizer bunny! Tuesday – Slower Cooker Chili Chicken Thighs with carrots and potatoes. A yummy one pot meal! 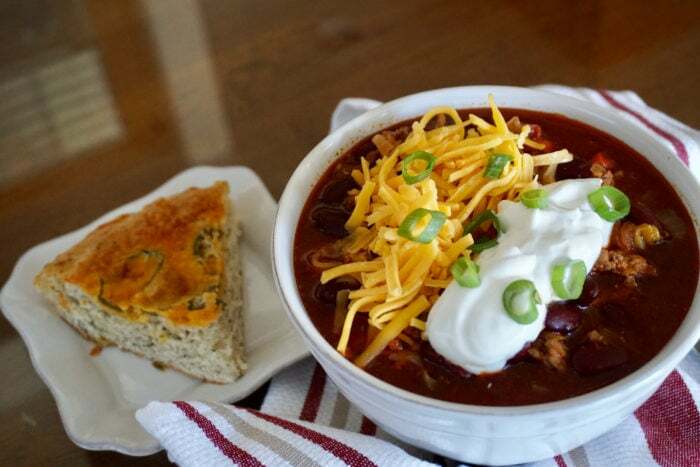 Wednesday – Baked Potato Bar with Homemade Best Ever Spicy Turkey Chili from my freezer stash. My favorite! Thursday – Frozen Pizza! We are going to try O pizza? Does that make sense? Oh, That’s Good Pizza! They sell it at Target and I keep walking by and thinking I wonder if it is really good? Or is the clever marketing just calling my tired momma name? Saturday – Leftovers! Thank you sweet kitchen fridge for keeping things nice and cool to give busy moms a day off! Sunday – Slow Cooker Pork Shoulder with oodles of bbq sauce and my Carolina Red Slaw on rolls. This is good southern eclectic eating! Something from all parts of the U.S.! Add some avocado and Wisconsin cheddar and we are going to be singing Patriotic songs in April!